Well here we are with the first challenge for The Card Concept! Our first challenge is a colour challenge, so you as a participant use the colours to create your card and then create your card based on one of the six defined styles from The Card Concept. I am one of the Clean & Simple Designers for The Card Concept and here is my card based on the colours. Inspired by these colours I made a smaller card (4 1/4" x 4 1/4") which I added a stitched square to that was slightly smaller. I used a smaller image and sentiment and then added some enamel dots to add interest without clutter. 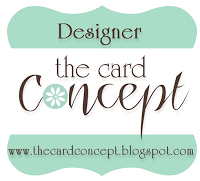 Head on over to The Card Concept blog to see all of the lovely inspiration from the designers, find a design style that you think you are or want to try and join in the fun, we can't wait to see what you decide to do! Sweet! 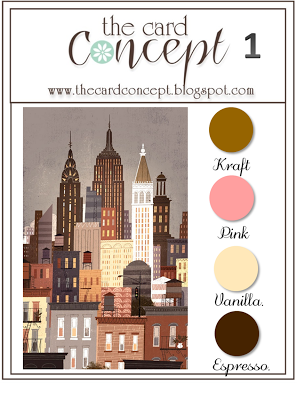 These colours are perfect for a coffee themed card! Very sweet card and that sentiment rocks! SO, so nice, Tracy...love it!!! Sure to bring a warm smile to it's recipient!!! What a sweet little card. Love the colors and your paper pieced cuppa. I have been so excited to see this new challenge Tracey...such a great concept which is going to appeal to so many crafters...all styles! Love the cute coffee mug and the heart shaped steam coming from it. This will be a very fun challenge to play along with! Congrats on the new DT! This card made me smile. I'm not a coffee drinker but the sentiment inside is perfect. Sounds like a cool new challenge - must check it out! Love your sweet pink coffee cup - so cozy! Great way to use the colours Tracey and now I have to go get a coffee! That is just darling Tracey!! I love your little paper pieced coffee cup!! So cute!! Totally and gorgeously clean & simple! Awesome job incorporating the colors into your sweet design. Love the perfectly placed enamel dots! Cute card. Love the layering of the coffe cup. Great card Tracey, thanks for the inspiration with this challenge! Perfect lady to be teaching CAS design! Love this. The little pink heart steam is a sweet touch! Oh my, Tracey, but I am completely smitten with this card, so much so that I *must* order those stamps! I hope you don't mind if I case this, as my sister-in-law (of the 90 tags request fame), also needs a bunch of thank you cards. My order won't happen until March at the earliest, so until then, I'll just be swooning over this stunning delight! You're awesome! Love the colors for the debut challenge and your card is just as sweet as can be!!! So happy for you Tracey!! Fantastic card Tracey! I hope I get a chance to play along. Tracey, love this warm cozy card! A sweet way to say thanks! Love your latte card Tracey! that stitched square is great and the paperpieced mug looks warm and comforting! I love your card, Tracey! Love how you rocked the Reverse Confetti! Tracey, my CAS-Card-Hero, this card I love a latte!! It is soo delightful. I'm sorry I haven't been around as much as normal. I've just spent some blissful time catching up with you and your works of art! But I'm terribly sorry to hear what your daughter went through with the allergy. That must have been so scary for all of you. I pray she is now well. 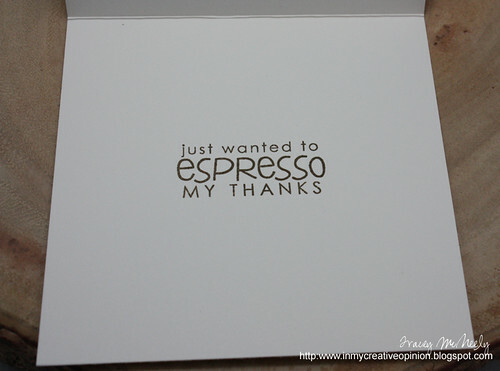 What an amazing card, love a latte right about now, please. This is just beautiful and those colors are fabulous. Your fussy cutting is perfect too, I will be cas'ing you on this one! Hi Tracey! I'm so excited to see this challenge up and running...and your CAS card is wonderful! I adore that cup and the coordinating sentiment inside. So perfect in every way! Hi Tracey. You represent Clean and Simple so beautifully. 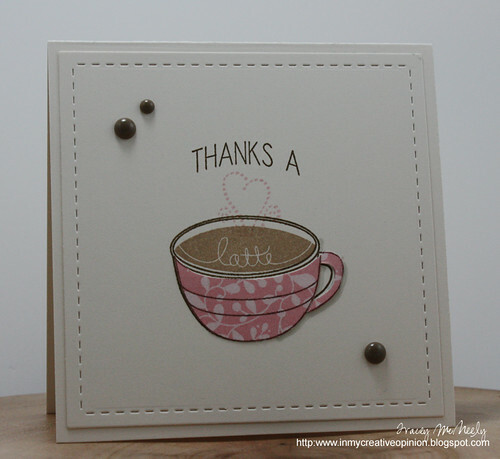 I love your paper pieced and stamped cup. A perfect take on the Challenge colours. Happy creating. I totally love this card Tracey! I've just literally taken the last mouthful of my morning coffee so this card really appeals to me! What a great CAS card, Tracey. Your cards are so so CAS and you have a knack for making every element count. I love the stitched border on this one and the sweet paper piecing. So glad to be on the team with you! 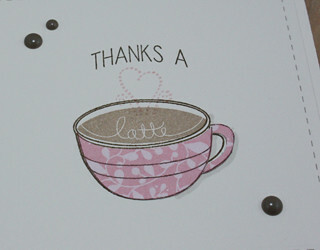 Sweet and simple, love this sweet coffee themed card and the stitched border adds a lovely little extra. Oh, and the inside sentiment too! Just found this challenge blog. Your introduction made me look at your blog. I too have MS and deal with it everyday. 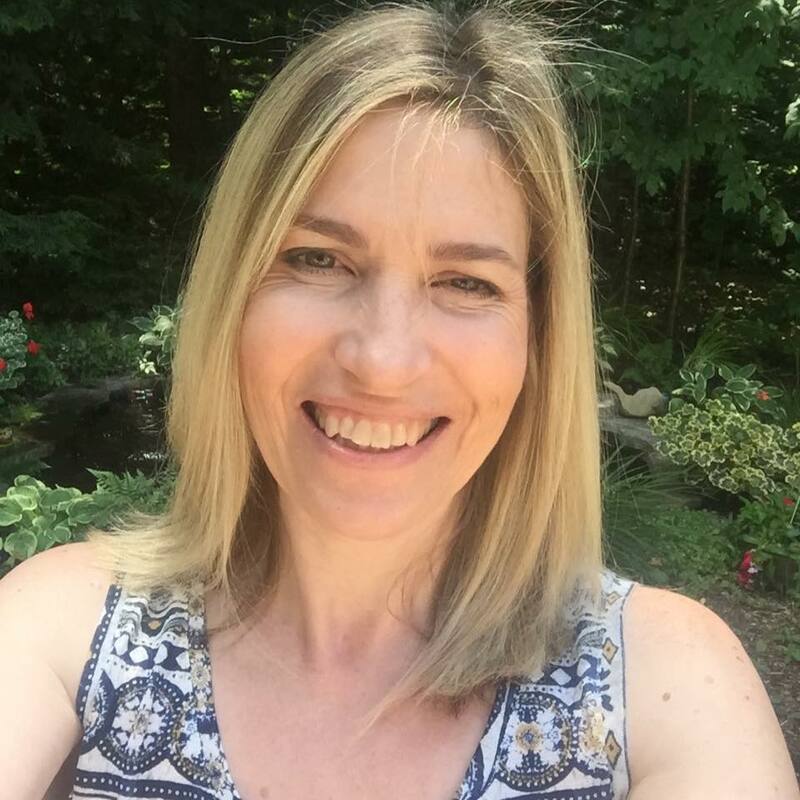 Thanks for sharing your life through your blog and wonderful card designs. Wonderful CAS card! I love the image choice and the stitched die! Do you want to win a kit?